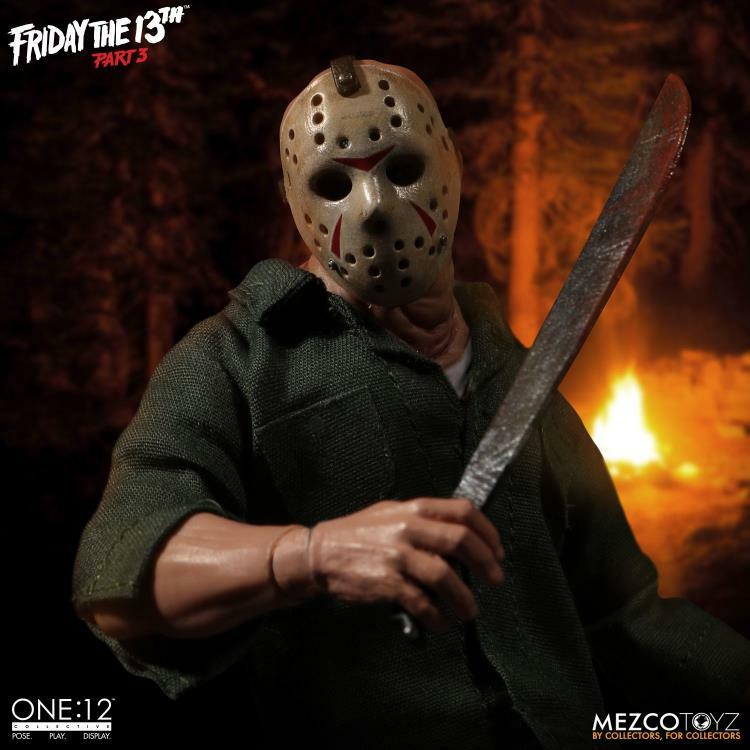 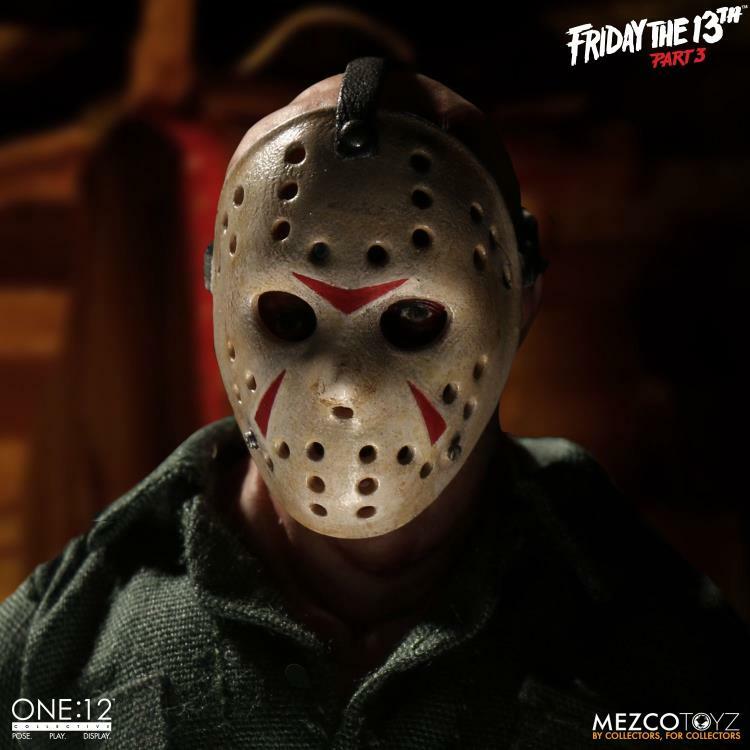 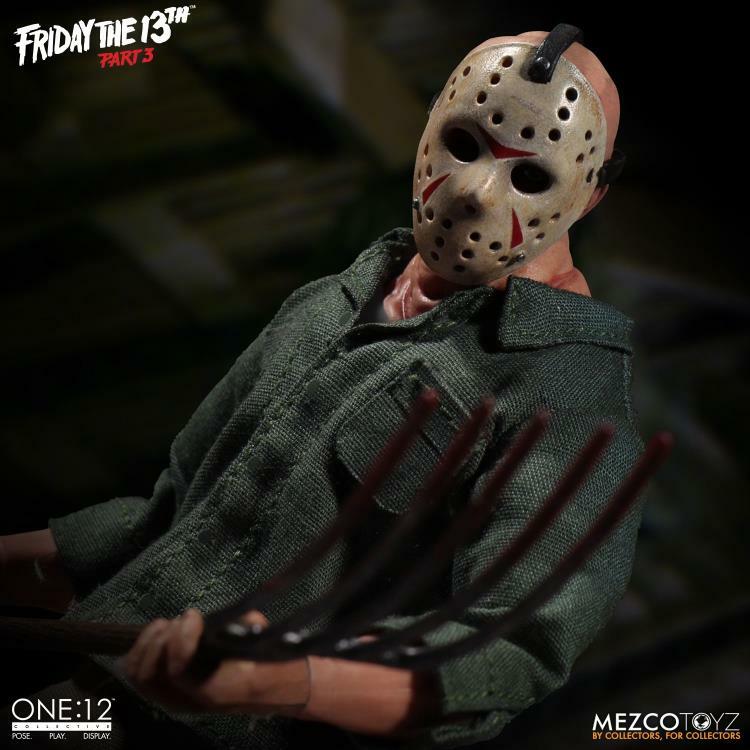 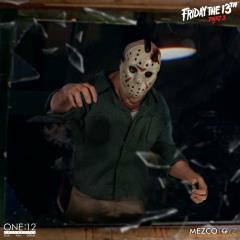 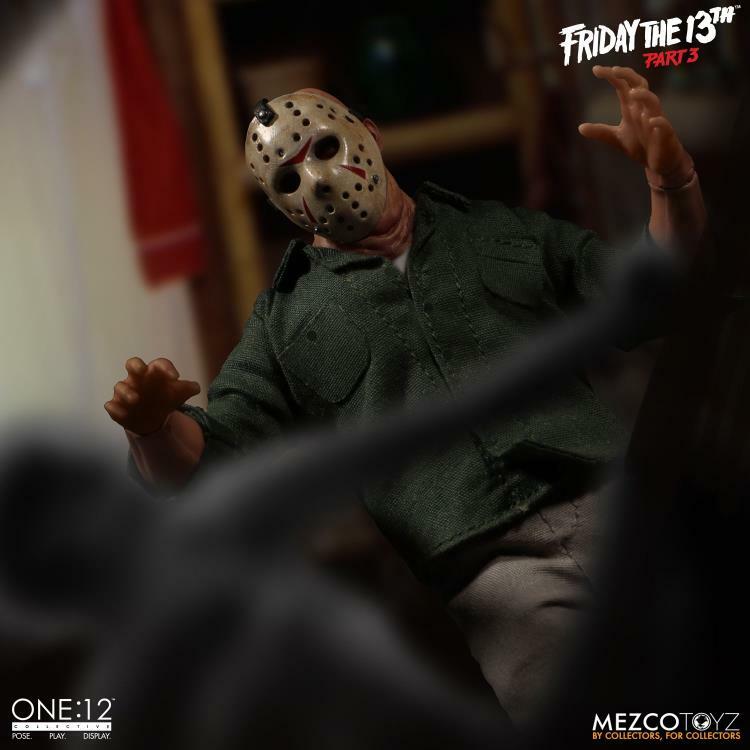 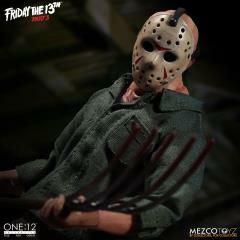 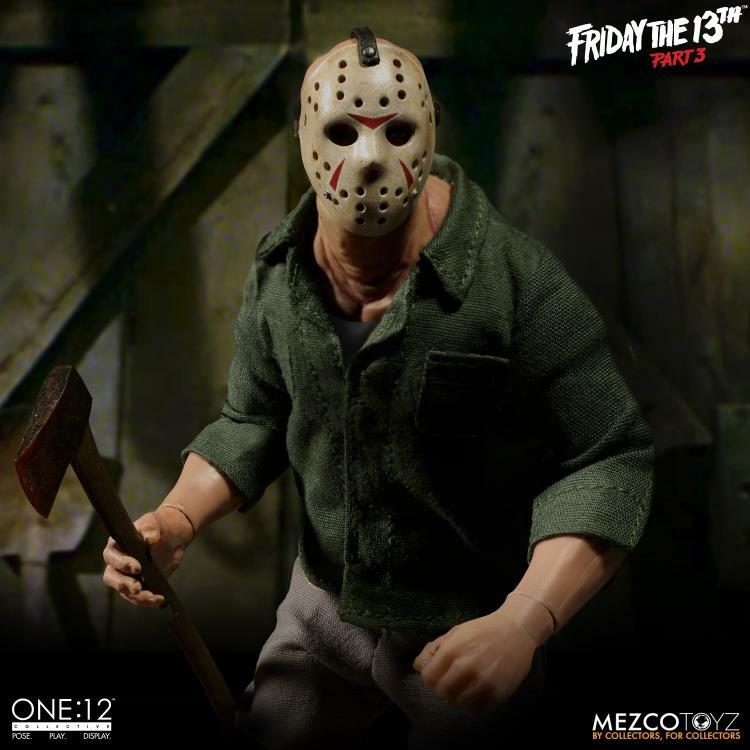 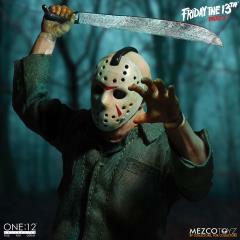 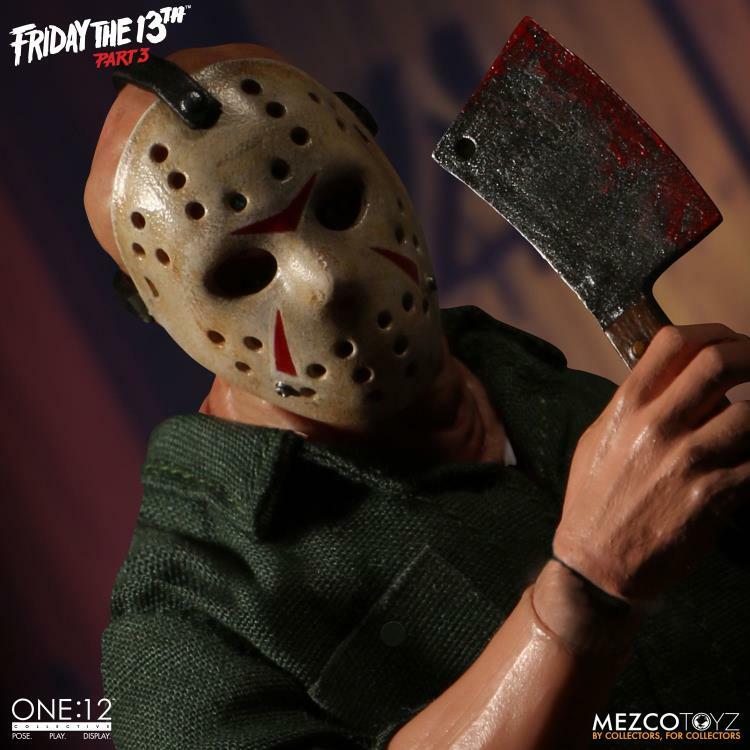 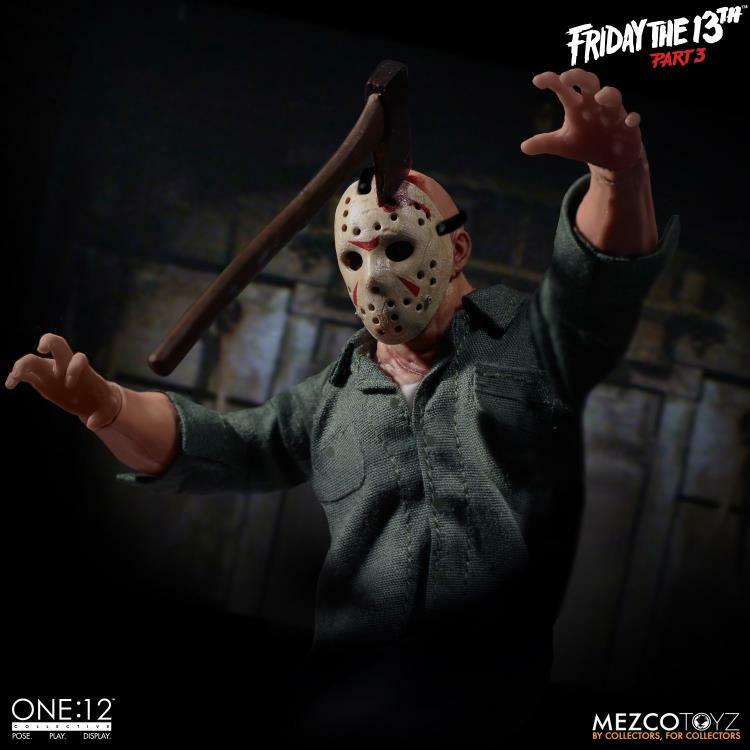 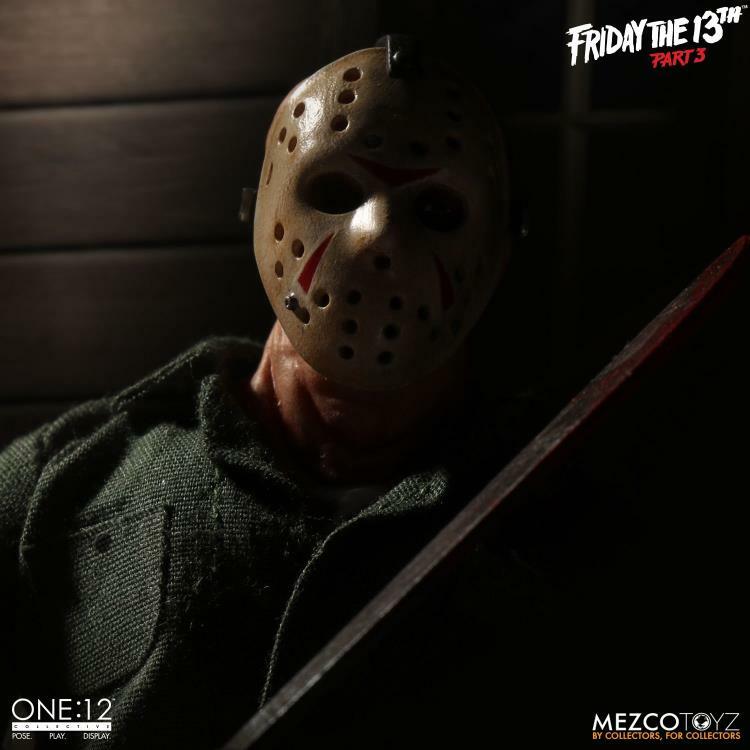 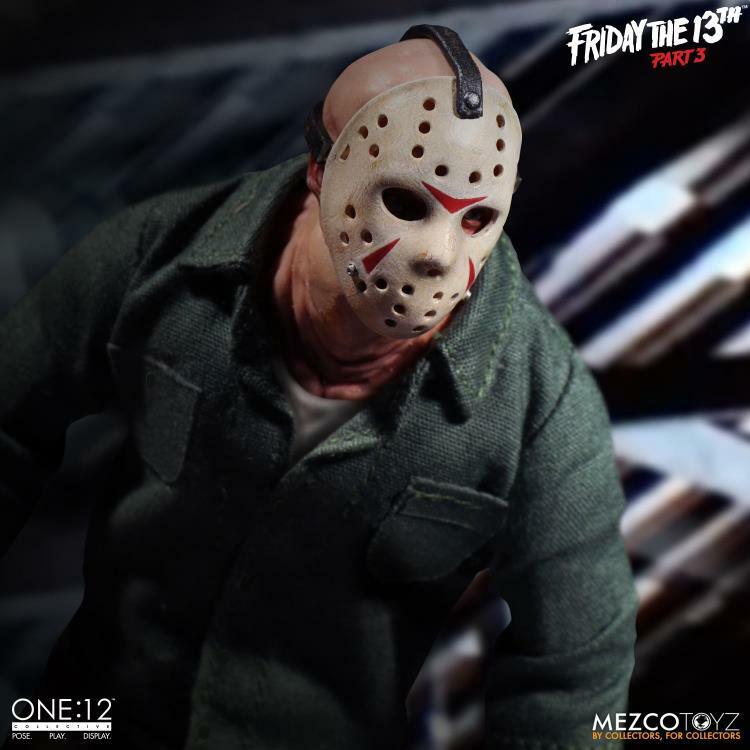 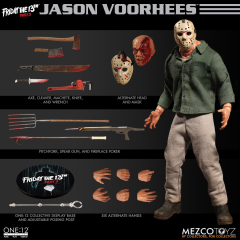 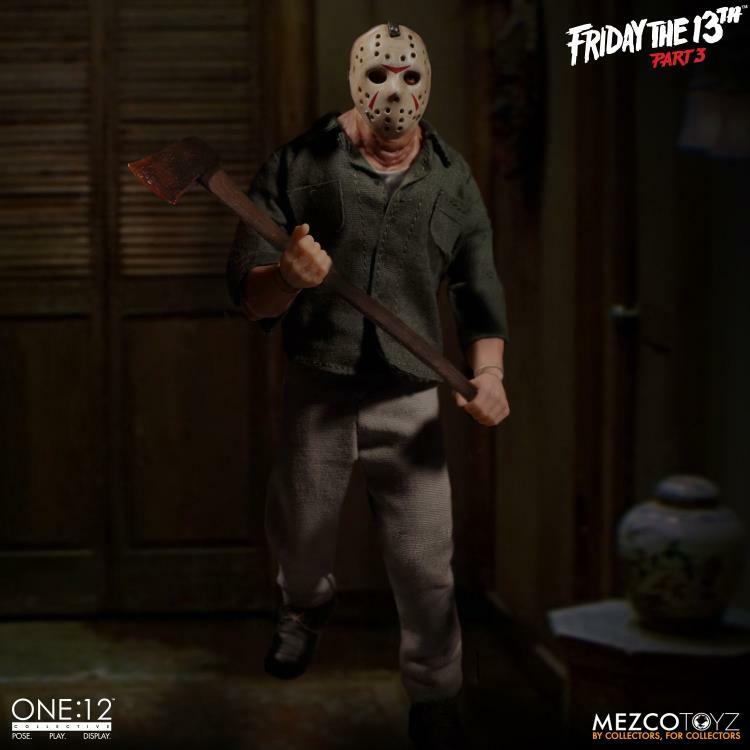 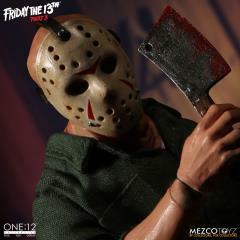 The One:12 Collective Jason Voorhees action figure includes two menacingly detailed head portraits and two removable hockey masks. 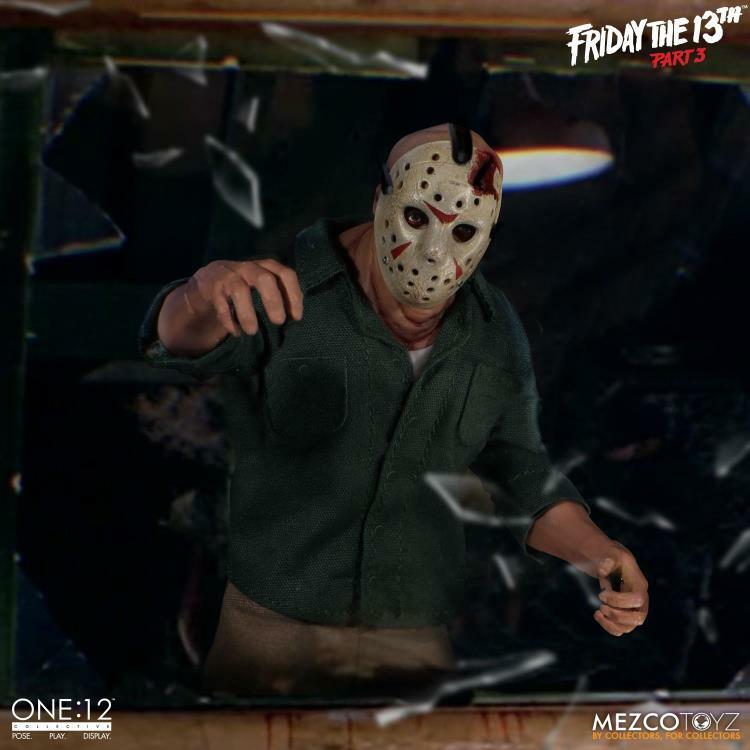 Jason’s axe accessory fits neatly into the gash on his wounded head as well as the crack in his hockey mask, recreating the iconic finale from Friday The 13th Part 3. The infamous Crystal Lake killer is outfitted authentically from the film. 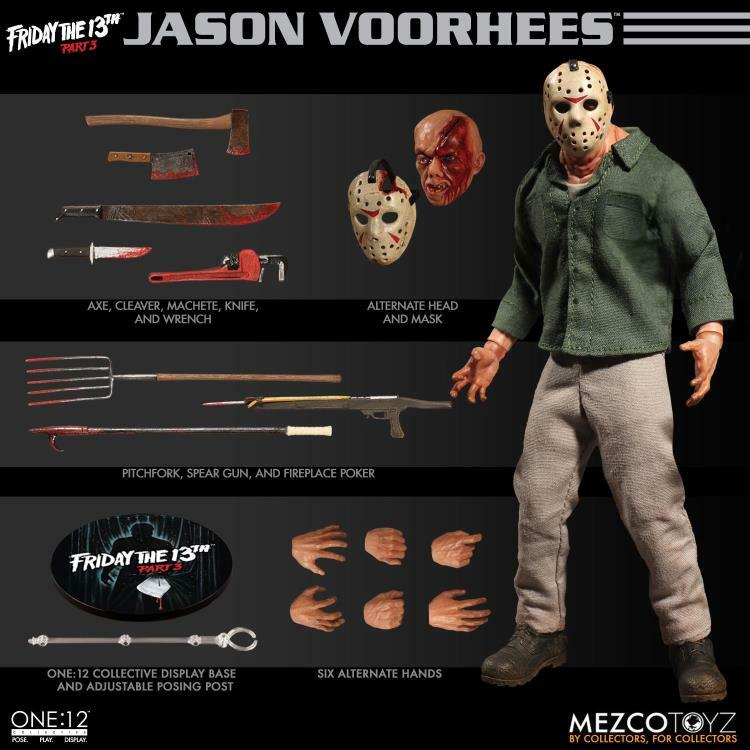 Jason comes complete with every weapon he used in the film: an axe, a machete, a cleaver, a wrench, a fireplace poker, a knife, and a spear gun. Having recovered from the events of Friday The 13th Part 2, Jason Voorhees relocates to the Higgins Haven campsite where a group of unsuspecting teenagers are enjoying an amiable weekend – that is, until Jason shows up and continues his deadly rampage. 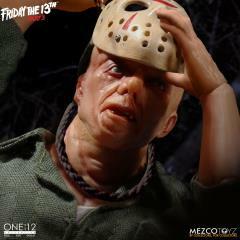 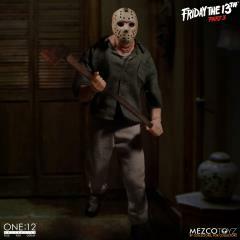 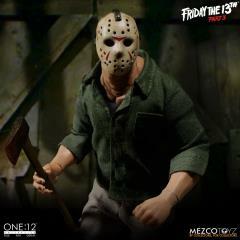 Add this Friday the 13th Jason figure to your collection today!